We'll miss you here at Faith. Benny was a long time member of Faith UCC and and before that First Protestant, when it was a UCC church. He came to the U.S., via the Netherlands, from Indonesia as part of the Church World Service Refugee program after WWII. Benny was very active in the church both locally and in the conference. He did much to help make Eden Hill Communities what it is today. He led a fascinating life. We recently celebrated his 95th birthday in Baese Hall. His memorial service will be held at Faith UCC on Saturday, April 13th at 2 p.m. There will be a reception in the fellowship hall after the service. Benny will be greatly missed. We will miss his stories and his smile and we remember his great service to this community and the United Church of Christ. 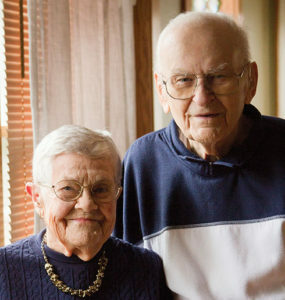 Bernhard (Bennie) Harst, 95, died peacefully at home, surrounded by his large extended family. He is survived by his partner, Dawn Horten; six sons, Bart, Rudi, John, Tom, Arnold and Paul and their families; a sister, Desiree Lewis Harst, of The Hague, Netherlands and a host of nieces, nephews and friends throughout the Netherlands, England, Germany and Belgium. He was born in Jakarta, on the island of Java in what is now Indonesia on January 28, 1924. He was raised in the pre-WWII colonial Dutch culture, as was his late wife of 54 years, Nell Velt Harst (Nelly) who preceded him in death in 2002. They lived on the islands until the family moved to the Netherlands in 1951 after the Indonesian Revolution changed his life in many ways. 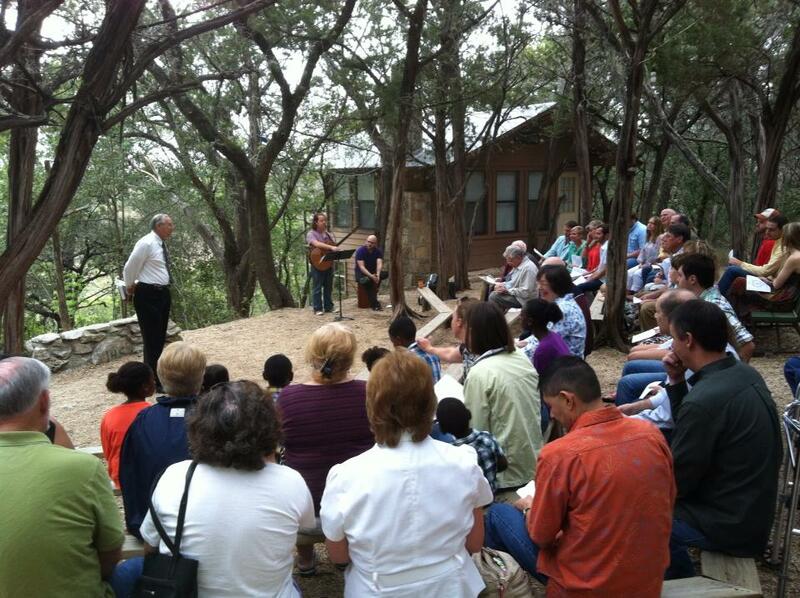 In 1957 the family emigrated to their adopted hometown of New Braunfels, sponsored by the late Rev. 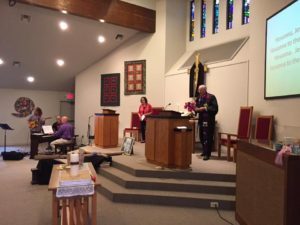 Carl and Della Burkle of First Protestant United Church of Christ (UCC). Bennie Harst lived a large life that touched the lives of many with his wisdom, curiosity, love and countless acts of kindness. He was a man of deep faith that translated into a life of service and good works; Bennie was committed to improving his community with simple and direct actions. Upon arrival in New Braunfels, Bennie accepted the only employment available at the time as a floor sweeper in the local textile mill and simultaneously as the part time janitor at the church. Within a year he was promoted at the mill to operate two weaving loom alleys, at a time when most weavers were only responsible for one alley of looms. In 1964, because of his Dutch health care administration office experience, the late Elmo Fischer employed him to assist with the increasing bookkeeping demands at the Eden Home for the Aged. Later he became the Texas state licensed assistant administrator for Kenneth Triesh at Eden, a position he held until his retirement in 1989. 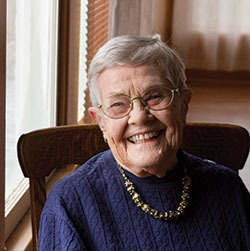 As assistant administrator at the Eden Home, he oversaw the evolution of the institution into the region’s first skilled nursing care facility, and later added the first Medicare certified rehabilitation center, Bihl Rehab Center. He took particular pride in building the independent living cottages at Eden Home; fittingly, he would live his final years in independence and dignity in these cottages. He worked for many years with River Garden, a life skills school for special needs adults. Bennie’s volunteer service included work at the New Braunfels Food Bank and the Comal County Senior Citizens Thrift Store. During the youth of his six sons, Bennie led inspiring Sunday School classes at First Protestant UCC. 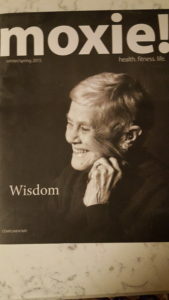 In any setting, Bennie was an irrepressible story-teller; his circular narratives, twisting from humor to pathos, crisscrossed Texas, Northern Europe, South East Asia in tales that wound through his unique experience of the twentieth century. Along with visits to children and grandchildren around the US, his love of travel took him to Mexico exploring the people and the culture as well as return visits to Indonesia and the Netherlands. He will be missed by the many who knew and loved him, including his faith community, fellow residents of Eden Hill, and his Thursday morning taco group at Nopalitos cafe. 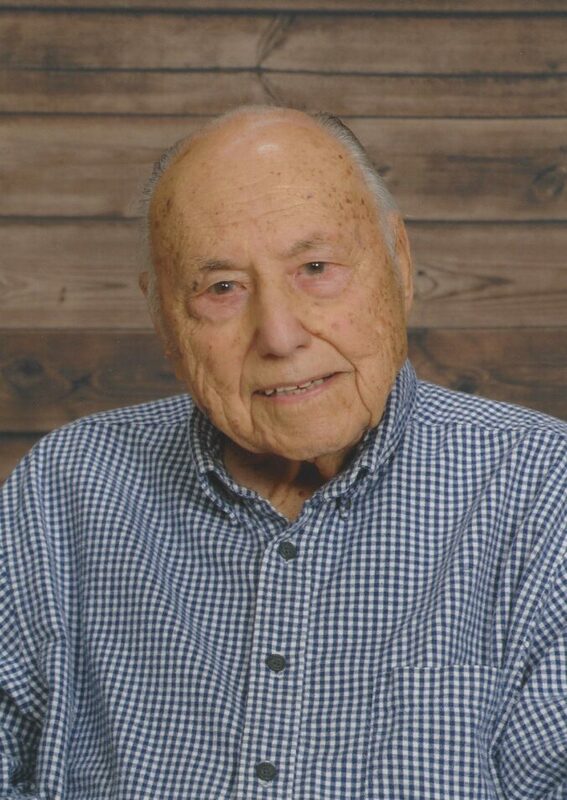 A memorial service will be held at 2:00pm on Saturday, April 13, 2019, at Faith United Church of Christ in New Braunfels. In lieu of flowers, donations in his memory may be made to the Faith United Church. 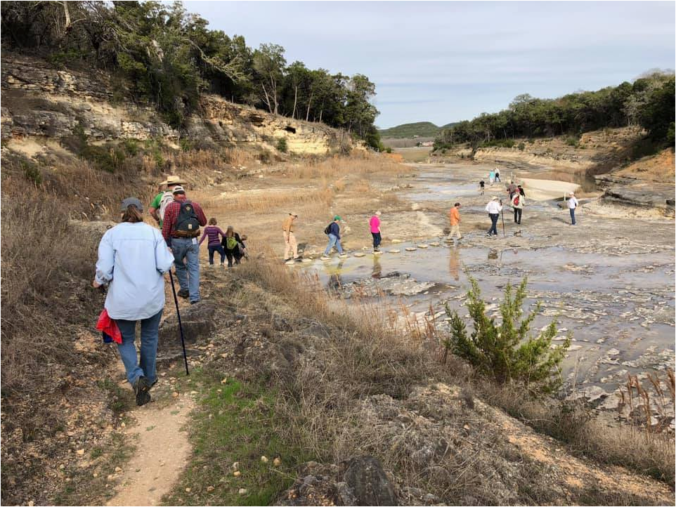 Thanks to Mike Ziegler for putting this video slideshow together of the Canyon Lake Gorge Tour for those that were not able to go on the tour. Now everyone can see a little of what those that went saw. We are saddened by the news that Emma Lou Bizer passed away late Thursday night at Eden Hill. Emma Lou will be greatly missed by all who knew her. Our thoughts and prayers are with the Bizer family at this time. Arrangements are still pending at this time. This has become a much anticipated annual event. Please RSVP as we need to know how many places to set and how much food to order. There is a signup sheet in the narthex area. You can also sign up to help provide some of the food for this meal but it is not required. A free will offering will be taken to help cover the cost. 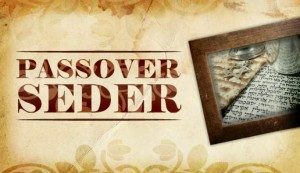 This is a traditional Jewish Seder meal. 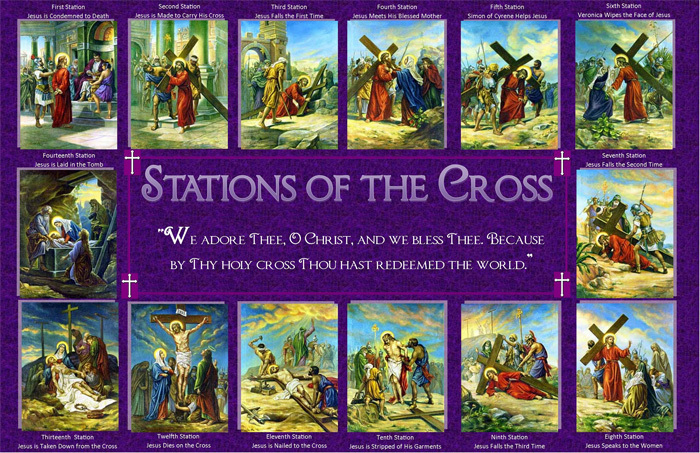 This year before and after the meal you are invited to participate in individual, personal meditation on the stations of the cross in the church sanctuary. You can do this from 4:30 p.m. to ???? 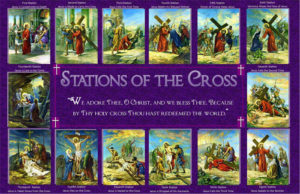 These will include the station of the cross pictures that a number of you took home to color. 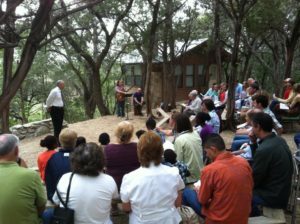 8am: Easter Sunday Service at Vesper Point at Slumber Falls Camp! 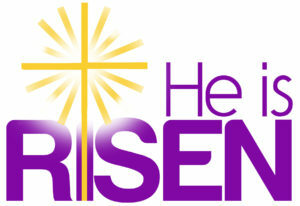 The main Easter service will be at the usual time, 10:30 a.m. 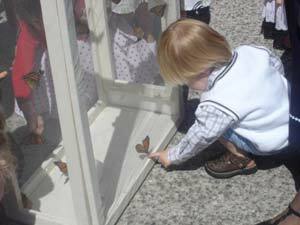 The choir will have special Easter Music and the service will conclude with a Monarch butterfly release outside. 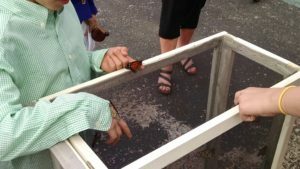 You are invited to reserve a butterfly in memory or in honor of someone. We have 24 butterflies coming. Donation is $10 per butterfly. Contact the Pastor to see regarding the cutoff to have names printed in bulletin. You can also bring an Easter lily in memory or in honor of someone. Just bring it to the church with you. Contact the Pastor to see regarding the cutoff to have names printed in bulletin. This Sunday we will continue our #50YearsOfFaith celebrations with the Music of Faith UCC from the past 50 years! A HUGE thanks to our official musicians and our volunteer musicians in Faith’s worship band, Faith’s Choir, and others who have a passion for music. There will then be a potluck after service to which all are invited. Then at 1pm there will be an organ concert and sing along with organ music from Allen Hennig, Rev. Al Hennig’s son (Rev. Al Hennig will be with us also this Sunday), we hope you will stay around for this, it should be fun! The concert and sing along should be about 30-45 minutes and we invite everyone to join in! Just after the church service and before the potluck, everyone is invited to gather outside to sing a big happy birthday to Louie Heras’ nephew, Michael, who is turning 17 on September 20th. He continues his journey towards defeating cancer (Osteosarcoma) and he’ll be spending his birthday in the hospital for his continuing chemo treatments. Louie is putting together a video for his birthday and would like to include everyone from Faith UCC singing Happy Birthday, sending him blessings, saying prayers or words of encouragement and things like that along with a balloon release for the children all in honor and support of Michael. Some balloons have gold ribbon for Childhood Cancer Awareness and the others have a yellow ribbon which represents Osteosarcoma/Bone Cancer. We hope that you will join in for this special show of support during this Childhood Cancer Awareness Month. Please group together just after church service and we’ll record this to include in the video for Michael’s birthday! September is Childhood Cancer Awareness Month, a time to honor and remember children and families affected by these rare diseases, and help rally support to give kids with cancer better outcomes by supporting our groundbreaking research. 25,000 families around the world will get the horrible news that their child or teen has cancer. 6,667 families will experience the loss of a child. More children are being diagnosed with cancer today than ever before. Let’s change that. Pastor Scott would like to encourage the women of Faith UCC to attend this year’s Houston Association/South Central Conference Women’s Retreat at Slumber Falls Camp. You can either stay at the camp or be a day participant at a reduced cost. The deadline to register is September 1st. Follow this link for more information. Register at the Slumber Falls Camp website by September 1. 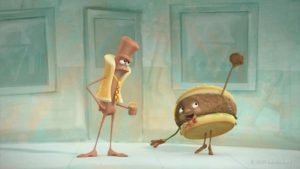 Arrive Friday, September 9, between 3:00–9:00 p.m. Dinner is on your own. Program begins at 8:00 p.m. Questions? Email Jane Holland or LaBeth Snyder. 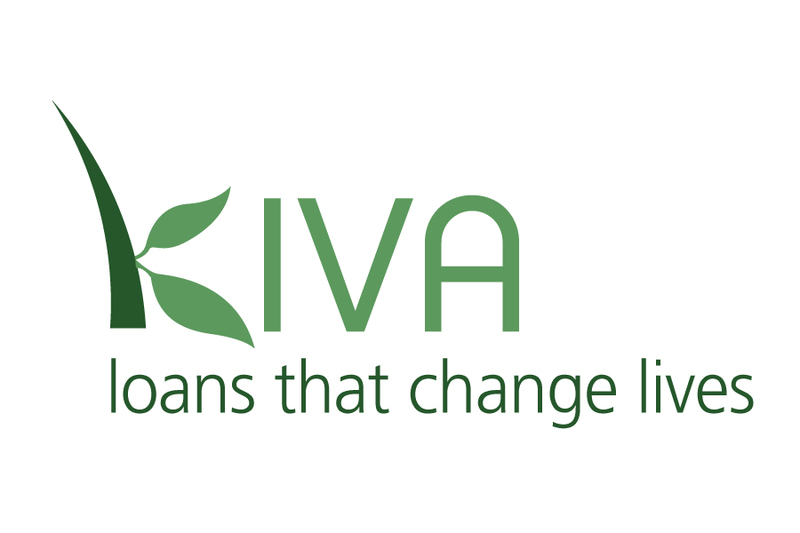 Read about how Faith UCC is making loans that change lives through Kiva! 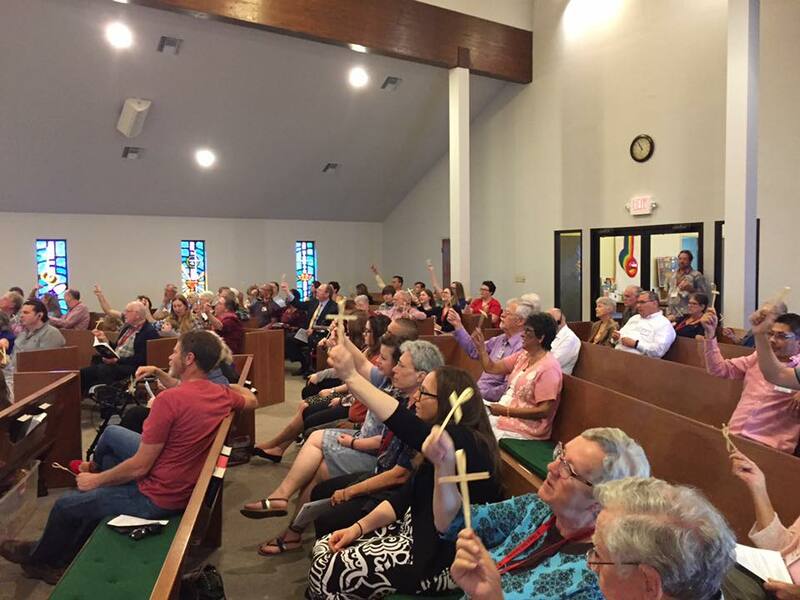 August 12, 2016 / Faith UCC / Comments Off on Read about how Faith UCC is making loans that change lives through Kiva! Faith UCC – New Braunfels is helping many individuals all over the world to move out of poverty by participating in a micro-loan through Kiva. Every day, Kiva connects thousands of people to borrowers and partner institutions around the world, working together to create opportunity and alleviate poverty. Read this recent article mentioning our church and Pastor Scott and thank you for your support! Faith UCC is proud to host the 1st Annual New Braunfels the Big latch on 2016! The Global Big Latch On takes place at a registered locations around the world, where women gather together to breastfeed and offer peer support to each other. Their friends, family and community join this celebration to promote and support breastfeeding. Volunteers from within the community host each location, hosting a Global Big Latch On creates a lasting support network for the community. 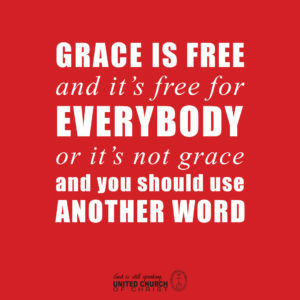 July 24, 2016 / Faith UCC / Comments Off on Grace is Free!!! 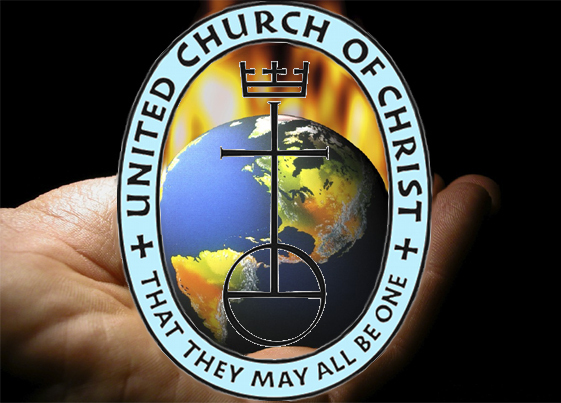 July 16, 2016 / Faith UCC / Comments Off on We Invite You to Join Us! 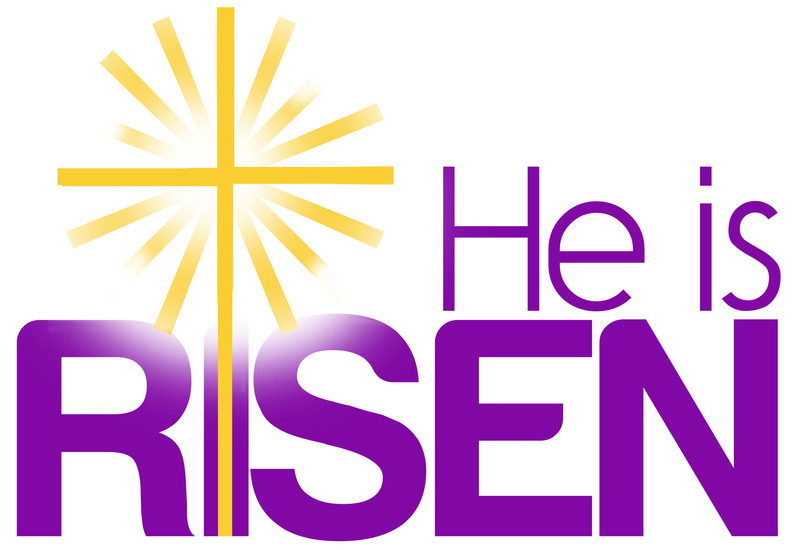 We hope you are able to, and we invite you to, join us for worship this Sunday at 10:30am!!! … or any Sunday! We would love to see YOU!